We recommend and provide support for the US Shift Quick 4. It is extremely user friendly, has an excellent data logging system, native USB, and broad functional options. Advanced algorithms provide the highest level of shift control and synchronization, allowing you to maximize the performance of your combination. The most advanced torque converter clutch control available, with several actions available during shifts. Accushift ™ learning capability for the most accurate WOT shift points possible. Full line pressure control for each individual shift, providing superior shift quality. Adjustable throttle lift delay, overdrive shift delay, and ballistic throttle effect. Burnout mode prevents upshifts while "pedaling" the throttle. Up to 4 pre-loaded shift calibrations able to be selected on the fly. FLEX-SHIFT ™ Shifter re-mapping capability. Dedicated 4wd options and features. 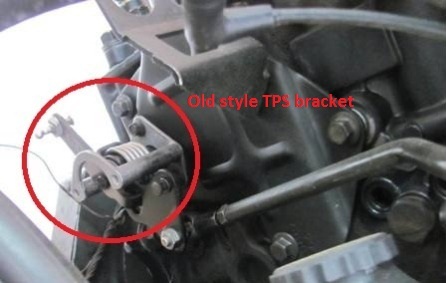 A throttle position sensor (TPS) is required for any transmission controller to work properly (see more information below). There are several options available. If your Cummins has a sensor on it already this works the best. All 98.5 and newer engines will have one. Earlier engines may have one if the engine was in a Dodge pickup with an automatic transmission originally. Instructions will be included with your controller that will direct you on how to do the wiring. If your truck is equipped with a 5R110 automatic transmission please see below for more information and other options. DCS does not included a tuning package with a Quick 4 module. A laptop computer is NOT necessary but it does streamline the tuning process. You can download the software at US Shift's website. The download contains numerous "pre-set" tunes. The Shiftware software is easy to use so we recommend you take a look at tuning the transmission yourself. If you don't want to do the tuning or don't feel comfortable please let us know. We charge a very reasonable fee for tuning assistance. Currently there are no aftermarket transmission control modules available (09/01/2016). This may change in the future but these are not "user friendly" as a transmission swap at any rate. We currently offer transmission tuning for the 6.0L & 6.4L diesel trucks for what we call Stock Tuning. Click HERE for more information. COMPUSHIFT II is the latest generation transmission control system from HGM Automotive Electronics, Inc. HGM provides most of the support needed to install and use this controller. No laptop is needed to program the COMPUSHIFT II using the included programmer display module. A PC can be connected via the USB port for system software updates and tuning if desired. Calibration B is an available feature, enabling a towing or racing calibration with the push of a switch, it can even be wired in to your existing overdrive cancel button if your vehicle is so equipped. If you are installing this engine into a 1967-2002 Ford, or a Chevy, the best tps option for you is a universal cable operated tps. These are available through us from either PCS or Compushift for their advertised price. If installing this engine in a 2003-2010 Ford Diesel, we have pedal bracket kits available to allow the stock pedal to be used for the throttle position sensor. If you happen to have this Cummins and it has the stock OEM tps,it is usable, but they are very expensive to replace. 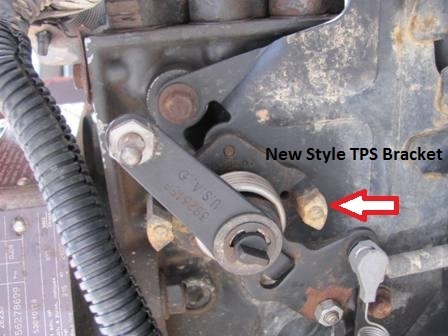 If you are installing this engine into a 1967-2002 Ford, or a Chevy, the best tps option for you is the Dodge Cummins tps (as long as you have the Dodge Cummins throttle linkage- industrial versions of this engine do not have this linkage- see pictures below).